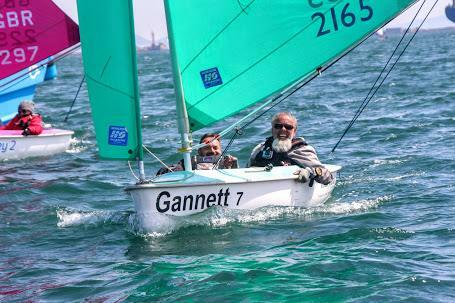 With The Hansa World Championships in Holland just 3 weeks away, the first GP of the 2016 season was held at WPNSA by Chesil Sailability over the weekend of May 7th & 8th. 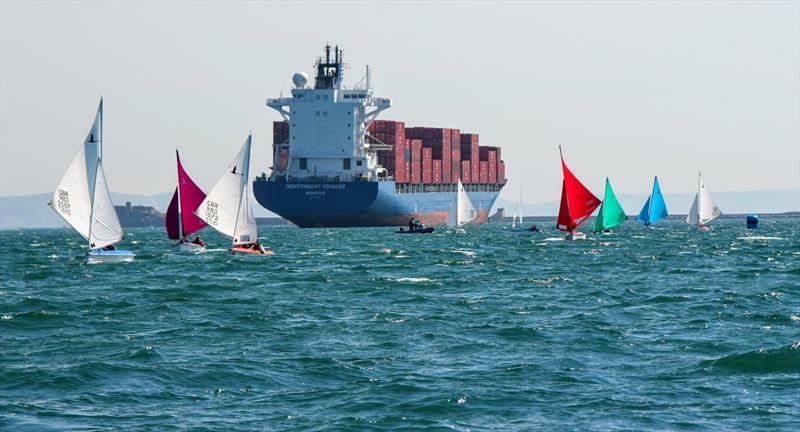 The forecast was changeable in the days leading up to the regatta, but the heavier winds forecast kept away and the sailors were greeted with perfect conditions; bright sunshine and little white ponies cresting the waves of Portland Harbour. Light winds on Saturday morning slowly increased in time for the start of race 1 in 8-9 Knots of breeze from the SE. Race officer Andy Gaunt got the fleets away clean in a shifting breeze, racing was close as it proved to be throughout the weekend. The second race started in similar conditions to the first race, the Liberty fleet got away well, but to the surprise of many, the first substitute made a very rare appearance as we had the first General Recall many of us can remember in the last 5 years at the start of the 303 fleets. Getting away on the second attempt, racing was again close and in a lighter breeze at Mark 1 the fleet bunched up together before stretching out again to the finish. Race three was marked by a big shift 10 seconds before the start, leading to a quick AP, before all fleets getting away in 10 knots of breeze. At the close of day one, Tim Scaresbrick and Anya De Iongh had 3 race wins despite competition in the shifty conditions, Lindsay Burns lead the 2.3 fleet, Alison Grant the 303 one person and in the highly competitive Liberty fleet, Paul Phillips lead David Durston on countback with both being on equal points. Day two dawned with almost perfect conditions, lots of sun and a steady breeze from the SE. Racing was again very close in the Liberty Fleet, races 4 and 5 were shared by David Durston and Paul Phillips leaving the result of the regatta to the last race. The regatta was decided on the last race when half the fleet sailed an extra lap leaving Paul Phillips to take his second race win of the day and the overall regatta. In the two person Hansa 303 fleet Tim Scaresbrick and Anya De Iongh sailing on home waters were dominant all day reveling in the waves and steady breeze to add three more race wins to the three from day one and complete a well-deserved clean sweep. Glynis Dawes and Hugh Landsdowne had a strong second day to edge past Peter and Peta Etherton to secure second place overall on countback. Cumulative Traveller Trophy results are available here.